Today's experiment is one all of us has seen, or at least most of us and just so happens to be by far one of the most quickest experiments to do. 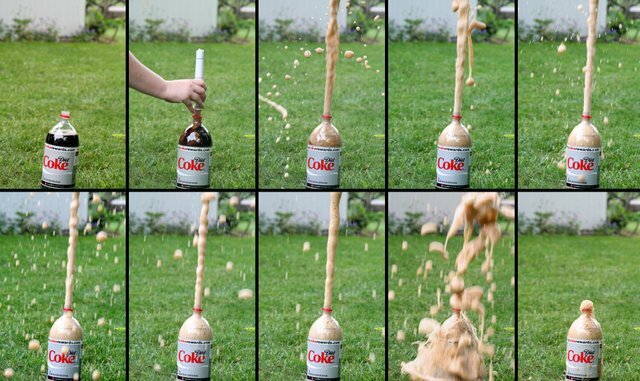 This experiment has been popular for years and has been one of the most exciting experiments to do with the whole family. 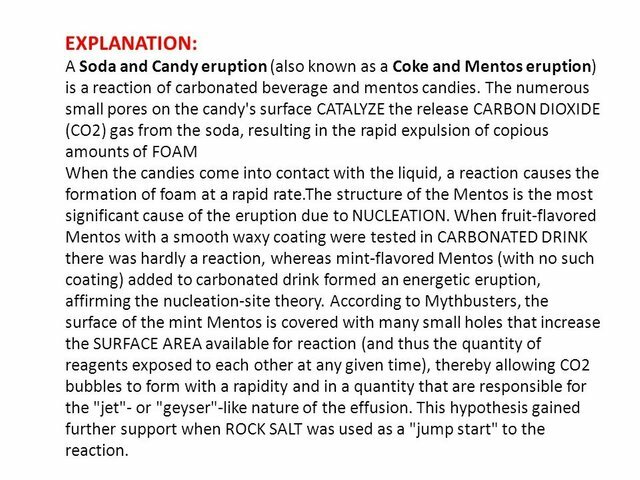 & besides knowing about the experiment and how it all goes down, do you know how and why you get such a huge explosion when you mix the ingredients together? If not, keep scrolling down to find out! Put the bottle of coke on the floor, preferably outside on the grass so that you don't have to worry about all that mess. Now, using the test tube, quickly drop the packet of mentos into the bottle and make a run for it! You'll notice the coke flying out of the bottle.